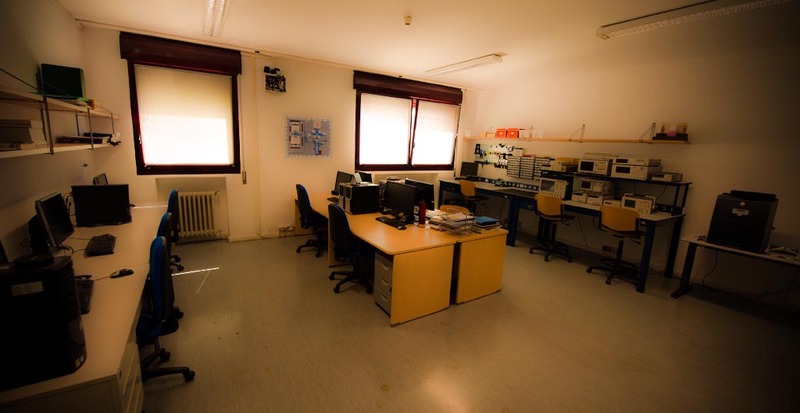 The ICARUS team laboratory, located in DEI/A building at ground floor, is a facility equipped with seven workstations with state-of-the-art CAD tools for the design of RF, analog and mixed-signal integrated circuits, and measurement equipment for integrated prototype testing up to 40 GHz. Prototypes are fabricated through external foundries adhering to the Europractice consortium (UMC, TSMC, Austriamicrosystems, AMIS) or directly through the in-house foundries of research partners. The available CAD tools include Cadence framework for full-custom IC design, Agilent ADS and Momentum, for high-frequency design and electromagnetic simulation, the Synopsys suite for digital IC design. The instrumentation for RF circuits testing includes a 10MHz-67GHz Network Analyzer, a 9kHz-26.5GHz Spectrum Analyzer, two 250 kHz-20 GHz RF signal sources. An RF probe station for on-wafer characterization of prototyes is also available.